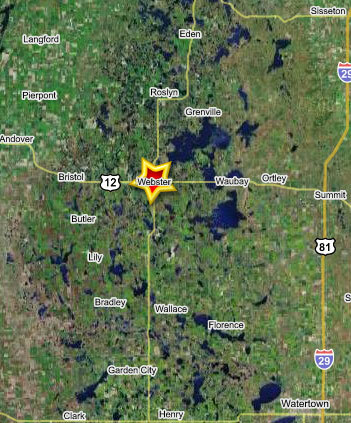 You can find us in the heart of the Glacial Lakes region 11/4 miles west of the US Highway 12 and SD Highway 25 junction, Webster, SD; this is 50 miles east of Aberdeen and approximately 45 miles northwest of Watertown SD. We are 25 miles west of Interstate 29. Aberdeen and Watertown are served by regional airports and have rental cars available. Please contact us for travel information. 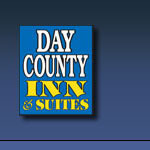 © 2005 - 2007 Day County Inn & Suites, Webster, SD All Rights Reserved.